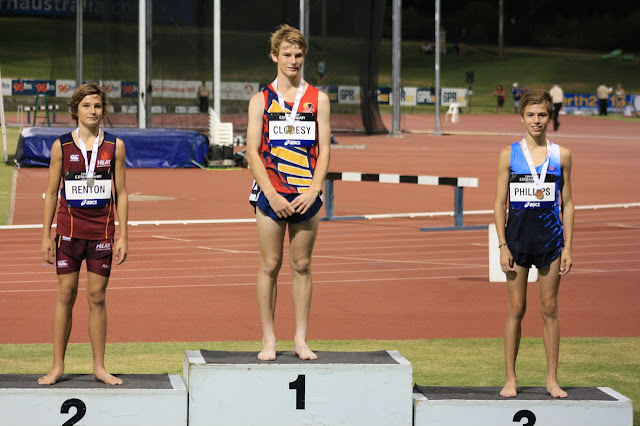 Junior National Athletics Champs are now all done and dusted, and we have 9 Nationals medals to our name: Hannah Gibson silver in the u18 2K steeplechase (6:53.48) and bronze in the 3K (10:00.74), Ben Carter silver in the u14 boys 90m hurdles (13:87), Edita Grinbergs won silver in the u14 girls 800m (2:20.39), Luke Gorman won silver in the u16 boys 2K steeplechase (6:14.18), Josh Phillips won bronze in the u15 3K (9:28.99) and in the 2K steeplechase (6:39.47), Bethany Halmy won GOLD in the u20 girls 400m relay and Ben Carter won bronze in the u14 boys 100m relay. 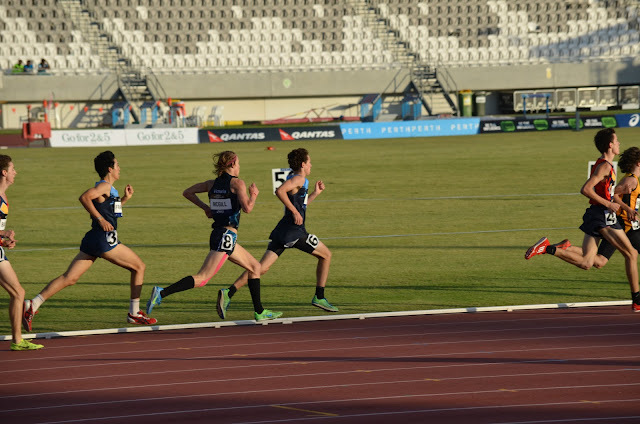 It's been very exciting outside the medlas too: Tessa, 13, made the final of the u17 400m hurdles (71:35), Bethany made the 400m u20 girls final (58:41) and ran well in her 800m heat, Gabe Corke ran 51:66 in the u18 boys 400m, Daniel Francken (ill) came 9th in the u16 boys 3K with 9:08:80 and 5th in the 1500m (4:10), Adam Halmy (u17) and Joe Burgess (u18) came mid div. 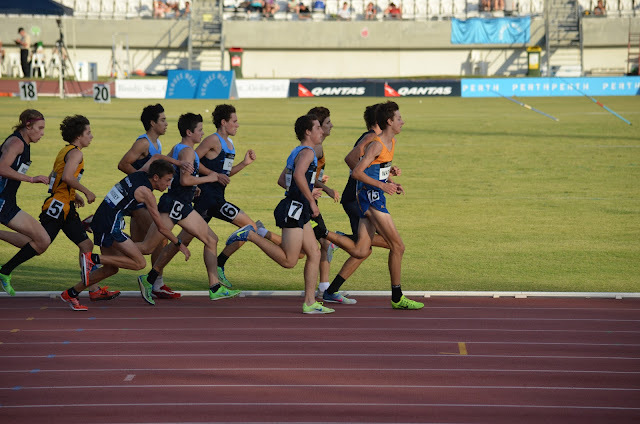 in their steeplechase races (6:48.25 & 6:37.58), and ran close to their PBs in the 3K (9:32.78) and 800m heat (2:00.16) respectively. Amelia Gorman ran 7:47 in the 2K u18 girls steelplechase - in the middle of the field - with a massive PB, after a break through at last minute steeplechase training the Sunday before Nationals. Luke Gorman also came 5th in the u16 boys 1500m with a time of 4:13.60. Edita, aged 11 (!!!) 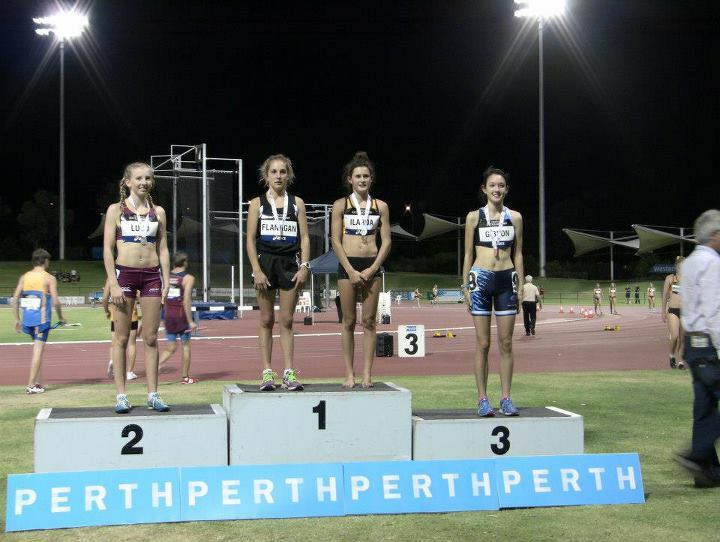 made the u14 girls 400m final with 61:05 and came 4th. Lachlan Cooper qualified for the u15 boys 800m final with 2:06.1. 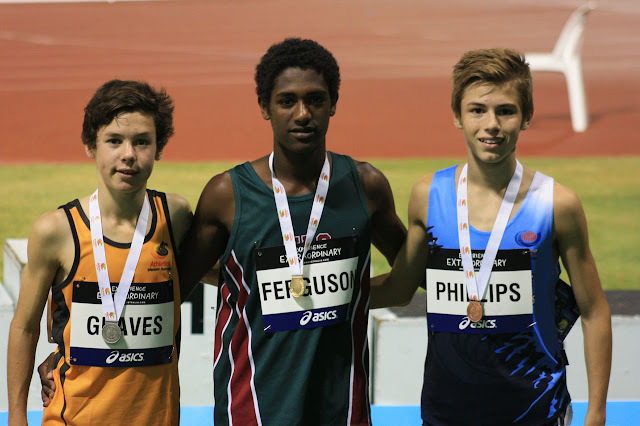 Ben Carter was 5th in the u14 boys triple jump and long jump. 11 year old Edita Grinbergs with her silver medal from the u14 girls 800m, which she ran in 2:20.39. 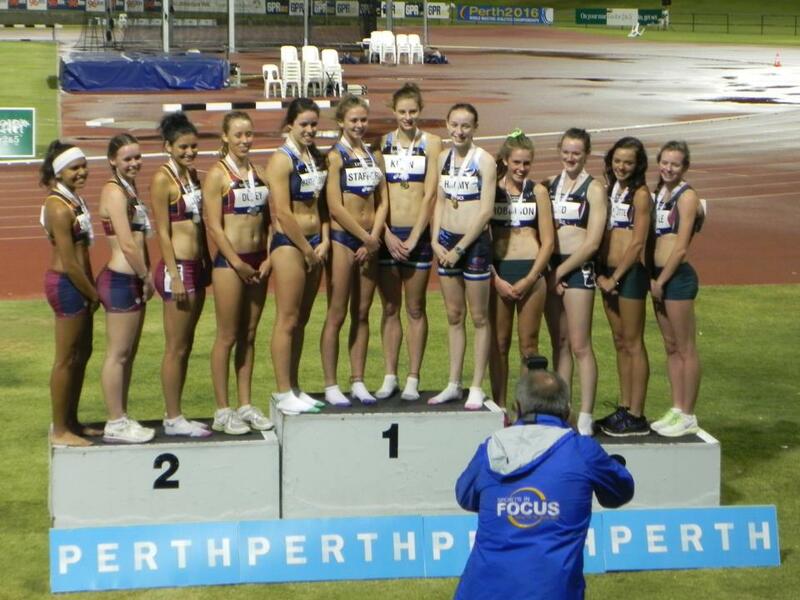 Note what she is carrying - the Sydney Striders special issue back pack which we gave all our Nationals athletes - isn't it lovely? 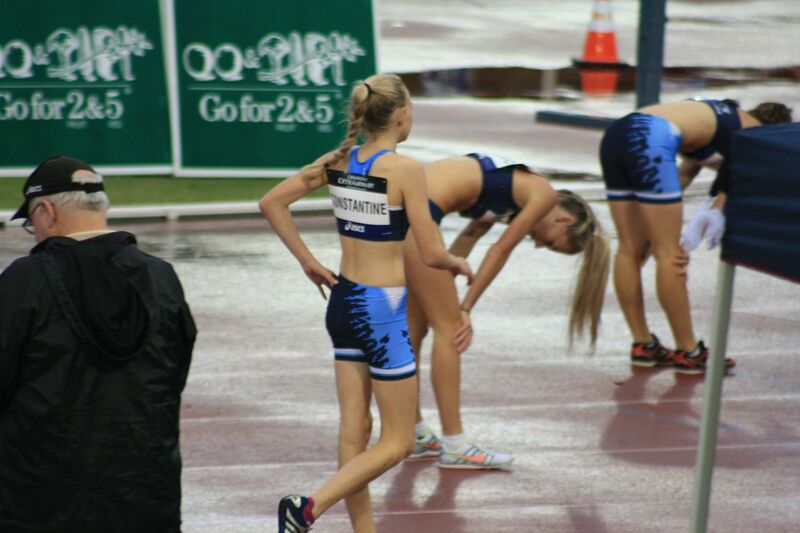 Amelia Gorman and Hannah Gibson bonding before their 2K steeplechase. 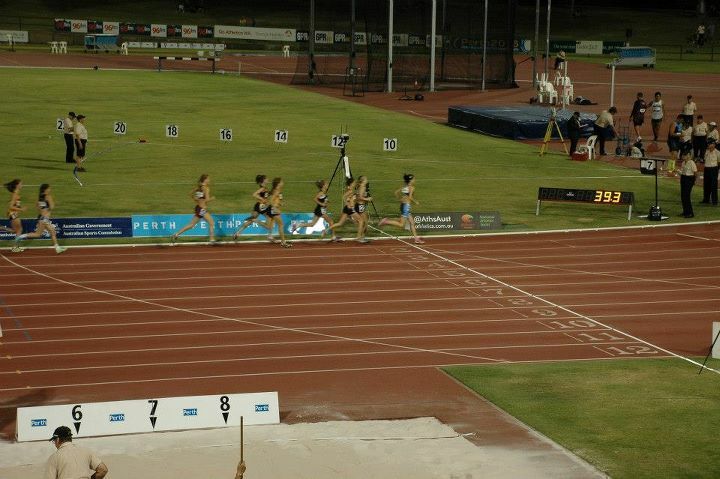 Hannah Gibson leading the u18 girls 3K at 200m into the race. Hannah still in the lead in the 3K at this point in the race. 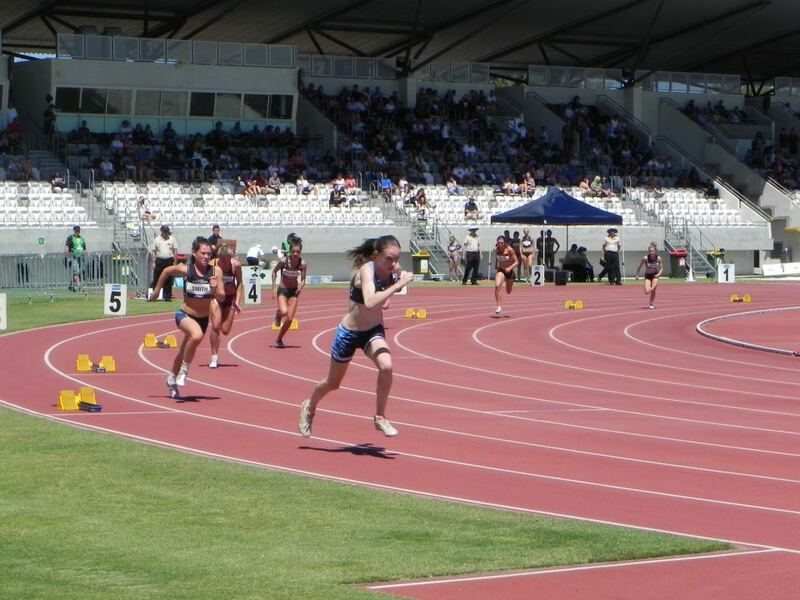 Bethany at the start of the GOLD medal winning 400m relay u20 girls. Daniel Francken, the juniors' overall fastest runner, in the 1500m. 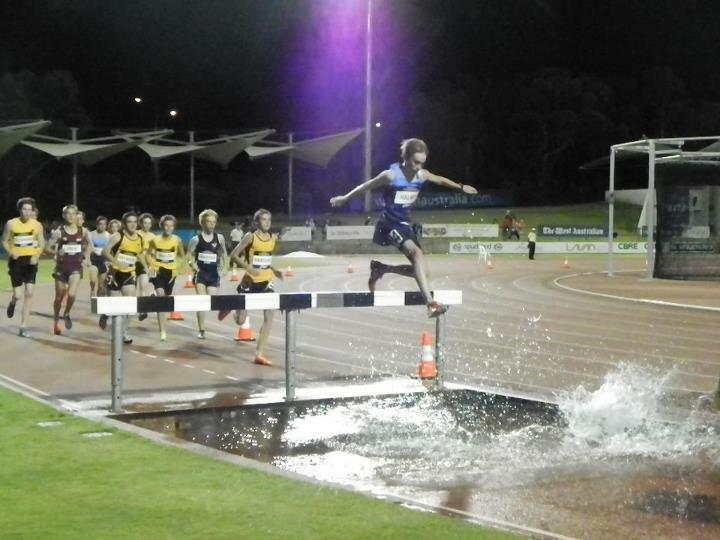 He's next to the guy taking a tumble! Tessa again - can't anyone photograph her from the front, or even the side!!!?? ?